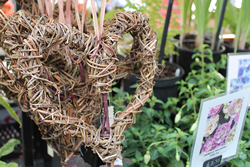 In Clover offers an eclectic range of home grown, hardy perennials, shrubs and bulbs as well as willow structures for the home and garden. 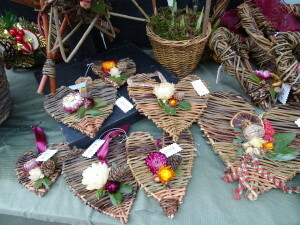 All produce is seasonal with snowdrops, hellebores and willow hearts (for Valentine’s Day) at the start of the year; hardy lobelias, bellflowers and willow plant supports for summer, to michaelmas daisies and kaffir lilies in the autumn, and willow Christmas decorations in winter. This entry was posted in Burnham on Sea, Fruit, Vegetables, Plants and Flowers. Bookmark the permalink. Both comments and trackbacks are currently closed.